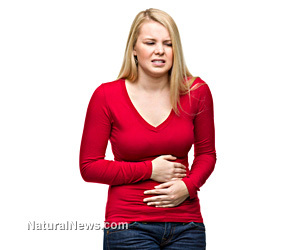 (NaturalNews) Diarrhea can be caused by many factors ranging from bad food to viral infections, but when left unchecked, it can cause you more than just inconveniences. Chronic diarrhea is known to cause dehydration, nutrient imbalance, and other potential health hazards. Because of this, one must stop it before it actually causes major harm. Here are some of the best remedies for diarrhea that you can use at home. 1. Getting enough rest. Oftentimes, diarrhea is one of the natural ways your body combats infections. Oftentimes, these symptoms go away within a few days or once the infection has been eradicated. Have some rest and allow everything to subside by itself. 2. Drink fluids. Replacing fluids that you lost during a diarrhea attack is important to keep you healthy. It's recommended that while you're sick, you must consume more water than usual as it prevents dehydration. Using electrolytes and sports drinks to replace ions and minerals lost by your body is also recommended. 3. Eat yogurt. Yogurt is very popular because it is rich in healthy bacterial cultures. These so-called good bacteria have a bunch of benefits for your body, ranging from improved digestion to the ability to kill diarrhea-causing microorganisms. 4. Medications. Particular medicines are made to provide both immediate and long-term relief for the symptoms of diarrhea. Drugs such as Imodium and Pepto-Bismol have effects ranging from slowing down intestinal motility to reducing bacterial reactions. 5. Consume particular foods. Some foods are better suited for consumption during a bout with diarrhea. Go for foods that are gentler to digest such as soup, crackers, and bananas. Tea is also recommended for its ability to control intestinal inflammation and spasms. 6. Avoid particular foods. Particular foods can have a detrimental effect on your digestive tract during a diarrhea attack. Avoid foods that stimulate bowel movement even further such as foods rich in sugar and caffeine. Hard-to-digest foods such as milk and high-fiber foods must be avoided too. 7. Starchy foods. Foods that contain plenty of starch have the ability to comfort your tummy, but of course, avoid starchy foods that are prepared using lots of sugar and fat. 8. Consume particular food ingredients. Particular ingredients are known to have a positive effect on someone who is suffering from diarrhea. Antioxidants can help in protecting intestinal tissue from infection, and tannins (an ingredient in tea and some fruits) have unique antimicrobial properties. While diarrhea is considered a normal occurrence, proper management is necessary to prevent it from escalating further. Most of these management techniques can be done right within the comfort of your home, but if symptoms continue to persist or worsen, it's best to ask a doctor for help.